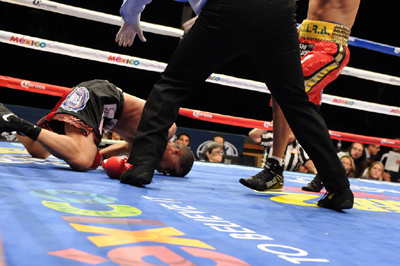 Watch the Juan Manuel Lopez vs Jesus Cuellar Replay. Once again, Juan Manuel Lopez lost via 2nd round TKO for the interim WBA World featherweight title at Hard Rock Hotel and Casino, Las Vegas, Nevada, USA. Watch the fight replay. The fight is said to be in favor for the former Wbo super-Bw and Fw champion Juan Manuel Lopez entered this fight with a pro boxing record of 34-4-0 (31 KOs=91%) and he is ranked as the No.13 featherweight in the world, he has already fought twice in 2014 beating Daniel Ponce De Leon in their rematch in March (=Lopez vs Ponce De Leon 2) but then he was beated by the undefeated Francisco Vargas in July (=Lopez vs Vargas). Jesus Marcelo Andres Cuellar, has a record of 24-1-0 (18 KOs=75%) and he entered as the No.22 in the same weight class, he suffered his only loss in 2011 when he faced then-undefeated Oscar Escandon, since then he has collected seven consecutive victories. At the beginning of round 1, it was a close fight for the two but the score would be given too Cuellar and in round 2, Lopez was caught in the corner and eats a lot of power punches from Cuellar that made him dropped his face first. See video replay below.